I bet your stomach isn’t. 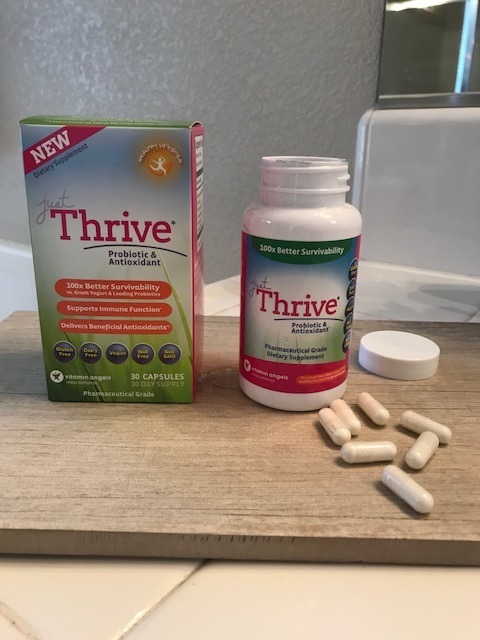 Just Thrive Probiotic & Antioxidant is the first and only 100% spore-based probiotic and a must for anyone interested in proven and effective natural medicines. Just Thrive Probiotic contains clinically-proven strains that are healing leaky gut within 30 days. Provide critical immune benefit by reducing the endotoxin level produced by pathological gut bacteria. Only Just Thrive Probiotics contains the unique, patented Bacillus Indicus HU36 which produces an astounding SEVEN different antioxidants in our gut. Just Thrive is the first and only probiotic that actually arrives alive in the small intestine and produces antioxidants! Make it a part of your daily health and wellness routine. Count on Just Thrive for a healthier you.